Rose to Gold – Kathleen Amaya and Raffaele Centofani’s Rose to Gold was on or near the lead all the way in the $500,000 Delta Downs Princess Stakes (G3) on November 17 before edging away in the final yards and winning her first graded stakes race by half a length. 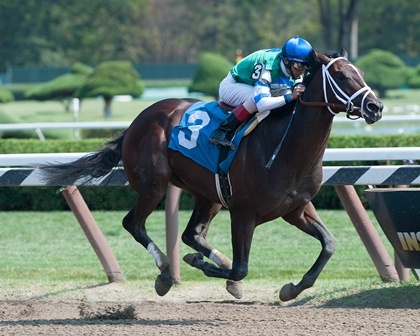 The 2-year-old Friends Lake filly, who began her career with two runaway stakes wins at Calder, is now 4-3-0-0 and has earned $372,869 to date. She was consigned by Karrington Stables, Agent, to the 2011 OBS August Sale. Candy Coded Kisses – Easton and Elsaida DeSouza’s Candy Coded Kisses was overlooked at 24-1 in the $75,000 Florida Stallion Desert Vixen Stakes at Calder on July 29, but the 2-year-old Florida-bred daughter of Omega Code took command with a quarter mile to go and drew off to her first stakes win by four lengths. Fellow OBS graduates Putyourdreamsaway (April ’12) and So Blessed (January ’11) were second and third. 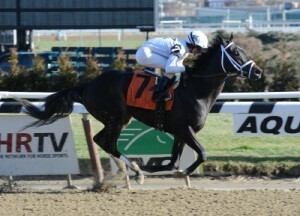 Consigned by Beth Bayer, Agent, to the 2011 OBS August Sale, she’s now 3-2-20-1 and has earned $60,370. 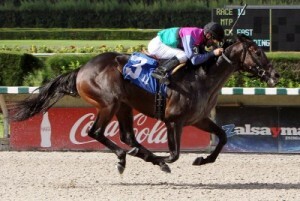 D’nied Permission – F. Muro, W. Cheekes, L. Ferrentino and Calascibetta Racing Stable’s D’nied Permission rallied to gain the lead late in the $125,000 Florida Stallion Affirmed Stakes on August 25, then held off a late charge to win by a neck at odds of 21-1. It’s the first stakes win for the 2-year-old Florida-bred gelding by D’wildcat, now 4-2-2-0 with $96,190 in earnings. He was sold for $18,000 by Sharon Biamonte, Agent, at the 2011 OBS August Sale. 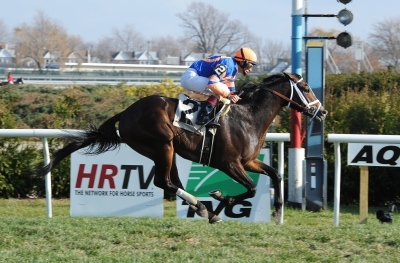 Sr. Quisqueyano – OBS graduates were 1-2-3 in Calder’s $73,800 Seacliff Stakes on August 25 as Rosa Stephany Taveras’ unbeaten Sr. Quisqueyano romped to a 13 ¾ length win over C D Gold (June ’12) with Uptown Anthem (June ’12, April ’12, August ’11, Ocotber ’10) a half-length back in third. Now three for three, the 2-year-old Florida-bred colt by Exclusive Quality has earned $84,600 to date. He was sold for $5,500 by Thoroughstock, Agent, at the 2011 OBS Winter Mixed Sale. Tree of Life – West Point Thoroughbreds’ Tree of Life is two for two and a stakes winner after a three quarter length victory in the $100,495 Barretts Juvenile Stakes at Fairplex Park on September 16. 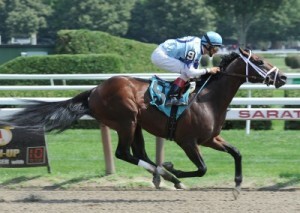 The 2-year-old Lion Heart colt was sold for $60,000 by Hunter Valley Farm at the 2011 OBS August Sale. He has earned $97,550 to date. Unhedged – Klaravich Stables Inc. & William H. Lawrence’s Unhedged is three for three and a stakes winner after taking the lead turning for home in the $100,000 Presque Isle Debutante Stakes on September 29 then holding off the late charge of fellow OBS grad Tiny Bear (April ’12, August ’11, January ’11) to win by a neck. 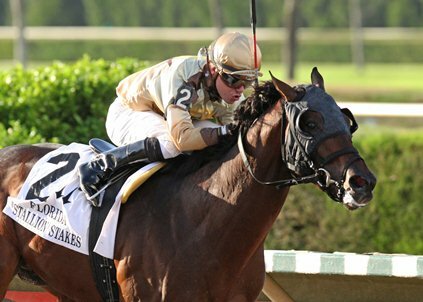 Sold for $10,000 by Summerfield, Agent For Westbury Stables, at the 2010 OBS October Sale, the 2-year-old Florida-bred daughter of Broken Vow has earned $114,600 to date. Truly Marie – Ike and Dawn Thrash’s Truly Marie, a solid fourth in her July debut, went to the lead in Del Mar’s seventh race on August 19 and never looked back, opening a big lead before cruising home to a one length victory. The 2-year-old filly by Hard Spun ran 5-1/2 furlongs in 1:03 flat in the maiden special weight test. 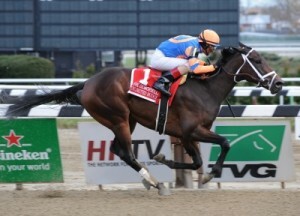 She was sold for $50,000 by Four Star Sales, Agent for Glencrest Farm LLC, at the 2011 OBS August Sale.